Commercial Outdoor Machinery, a division of Stevens Products Ltd, provides premium chippers, excavators, skid steers, stump grinders, commercial mowers, and other high-end commercial land clearing, land care, and grounds maintenance equipment direct to commercial end users. It’s built on a 40-year vision of its parent business to deliver quality products with an ability to withstand the harsh operating environments of New Zealand and committing to supply equipment that ensures buying quality machinery doesn’t cost. 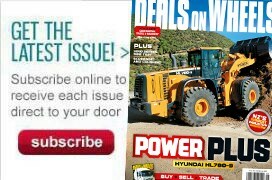 One key aspect is the belief that a demonstration is essential before buyers make a major purchasing decision, and Commercial Outdoor Machinery has a fleet of demonstrator equipment and trucks dedicated to providing an informed customer choice. Modern workshop facilities and field service technicians complete the customer experience and ensure that the equipment purchased can be maintained in top condition. The business stocks spare parts at their Auckland warehouse, enabling efficient in-house servicing and repairs or direct national sales. In the five years since inception, the popularity of Commercial Outdoor Machinery has increased substantially with the business saying the workshop has doubled its technicians, taken on additional parts staff, and had a layout overhaul to improve service capabilities. They say this growth has been accompanied by accolades. In January 2018, Commercial Outdoor Machinery was awarded Morbark Inc’s coveted Gold Tier Dealership Award, being the first international dealer to receive the honourable status for a second year. Commercial Outdoor Machinery has also achieved some exclusive agency wins: Boxer Equipment and Rayco, two recognisable brands in their industries. Rayco was recently added following the acquisition in late 2017 by Morbark. 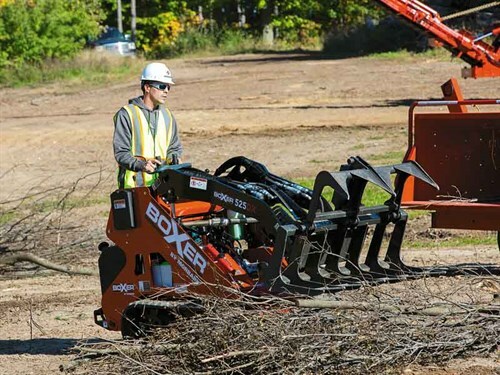 Rayco stump grinders can help make short work of tree waste, alongside Boxer Mini skid steers and accessories providing an adaptable powerhouse on a small footprint. Rayco has been in New Zealand for more than 15 years and the new distributors aim to take the well-known brand to the next level. 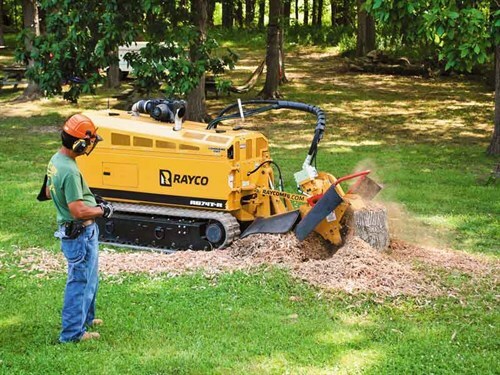 The Rayco line-up of stump grinders, horizontal grinders, forestry mulchers, and rubber crawler trucks feature innovative designs and a range of options to suit varying jobs and budgets. Commercial Outdoor Machinery has also been appointed exclusive agents for Morbark Industrial equipment in New Zealand, which provides additional ranges of products. For job requirements extending to large-scale work, Morbark Industrial’s range of horizontal grinders, tub grinders, trommel screens, and more are available. Commercial Outdoor Machinery now also offers Morbark tree and brush chippers, six to 20 inches and the larger 20 to 40 inches wood chippers with various configuration options—drum or disc, electric or diesel, tracks or tyres. Some models include chip box combo, loader or infeed bed as well as PTO variants, giving buyers the flexibility to customise the perfect chipper for their needs. Först: Chippers, six-inch and eight-inch models in wheeled and tracked configurations, the XR8 tracked machine with parallel leg Traxion Embankment System, and the sub-750kg ST6P petrol-powered chipper. All models feature FörstGrip infeed and AutoIntelligence Feed. Eurocomach: High spec excavators available in 1–10-tonne classes, featuring excellent reliability, zero tail-swing for tight spaces, and factory fitted tilt-hitch.